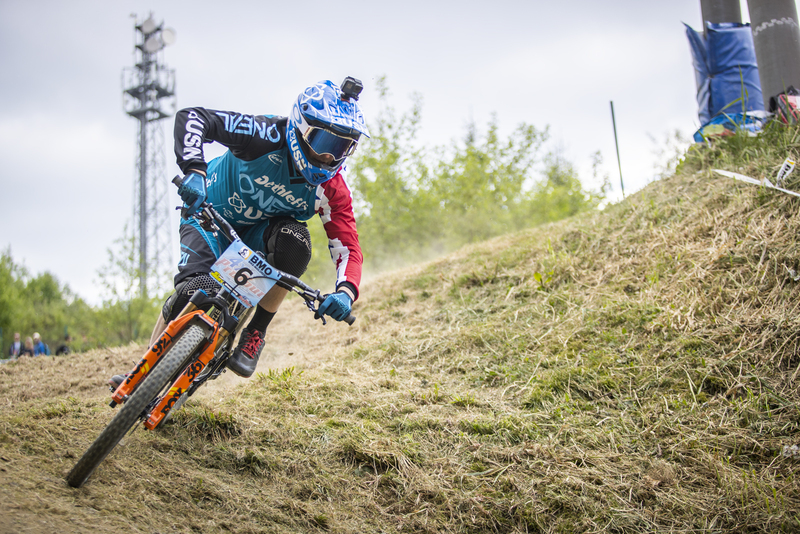 Scott Beaumont takes us for a lap of Szczawno Zdroj 4X ProTour track. 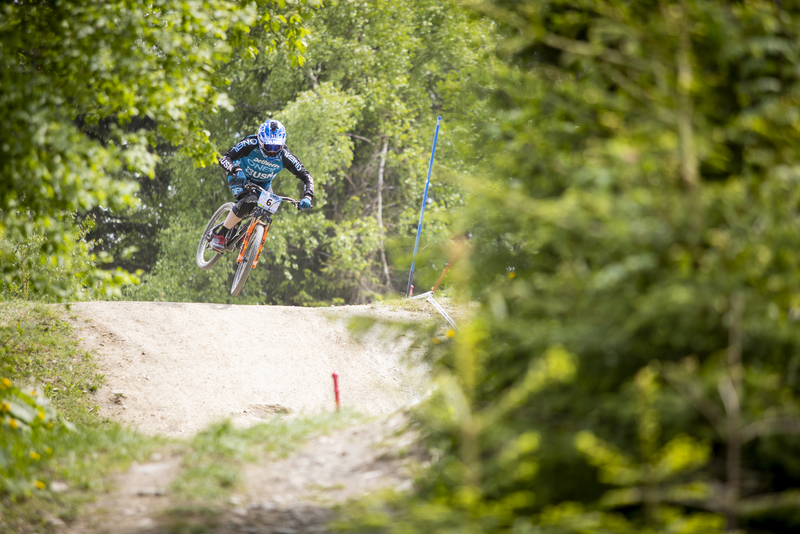 Round one of the 2018 4X ProTour took place in Winterberg, Germany at the weekend. 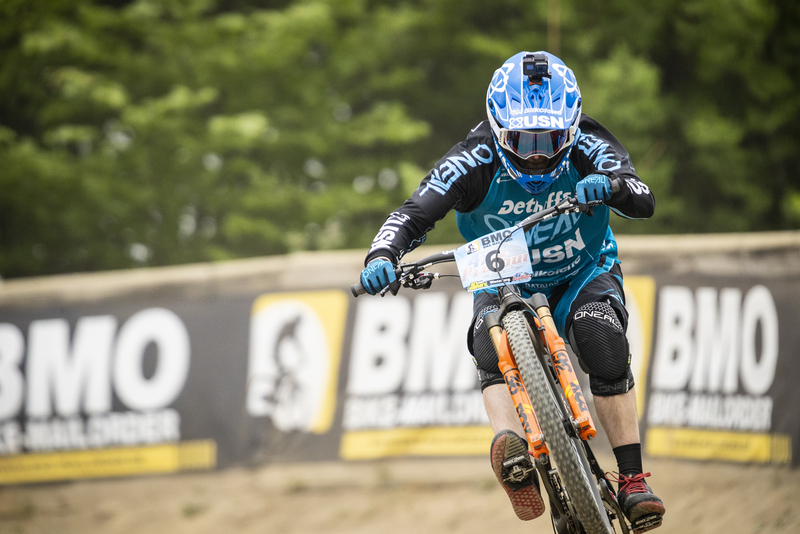 After a strong winter of training, Scott Beaumont was looking to cement himself in the running for the overall title in Winterberg with a track that really played to his strengths. 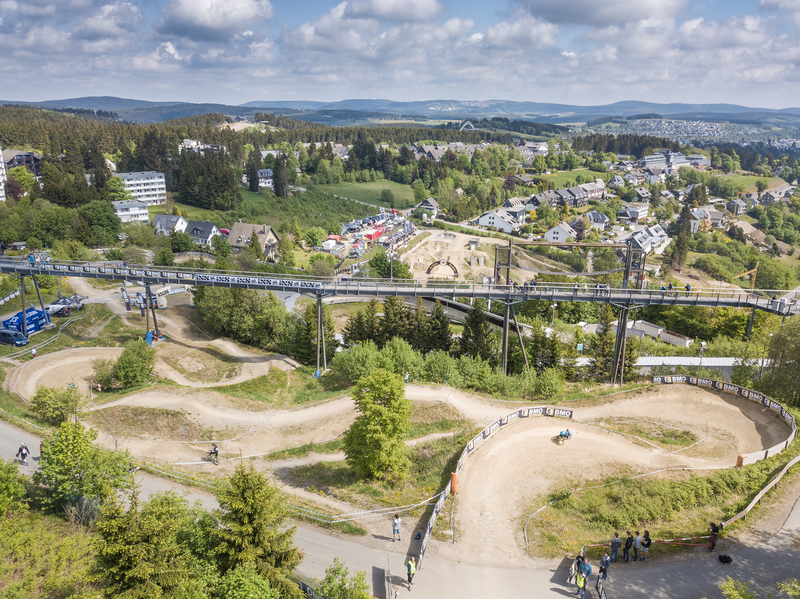 Held as part of the Dirt Masters Festival, this event attracts thousands of fans who flock to Winterberg in Germany to watch 4X ProTour, IXS Downhill Cup and the impressive Slopestyle event. 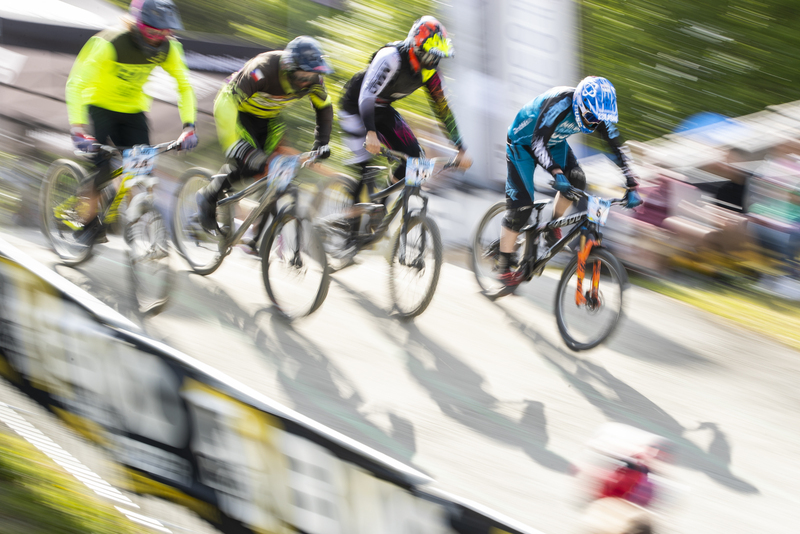 The race had nearly 200 riders entered so practice was busy and the track had a constant flow of riders as everyone got to grips with it. The weather was dry for qualifying making the track super-fast and dusty. The sun was shining and the track was absolutely perfect. Scott has had some great results here in the past and always rides his track well so we were confident heading into qualifying. 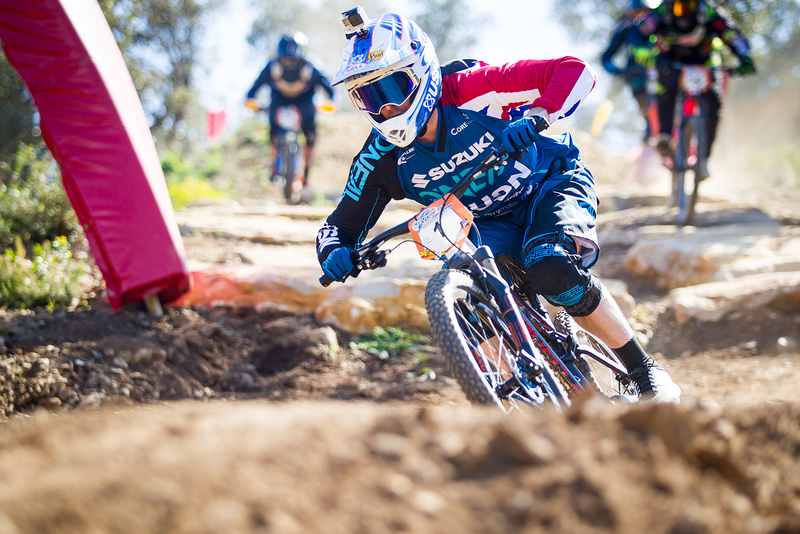 With all the top riders injury free, this year’s 4X ProTour looked set to be one of the best ever. With 10 of the elite men riders all more than capable of taking wins and the overall title, the strength in depth of 4X ProTour is now better than ever. Scott knows that consistency will be the key and was looking for a decent qualifying run to put himself in a good position for racing. After qualifying, there was a short break and then straight into racing and Scott was ready. The Yeti race bikes were prepped and Scott rode a couple of practice laps to prepare for the racing. Winning his first round of racing Scott was looking good. In his second round Scott made a mistake out of the start and slipped into 2nd around the first turn. He held this position all the way to the finish and transferred into the quarter final. 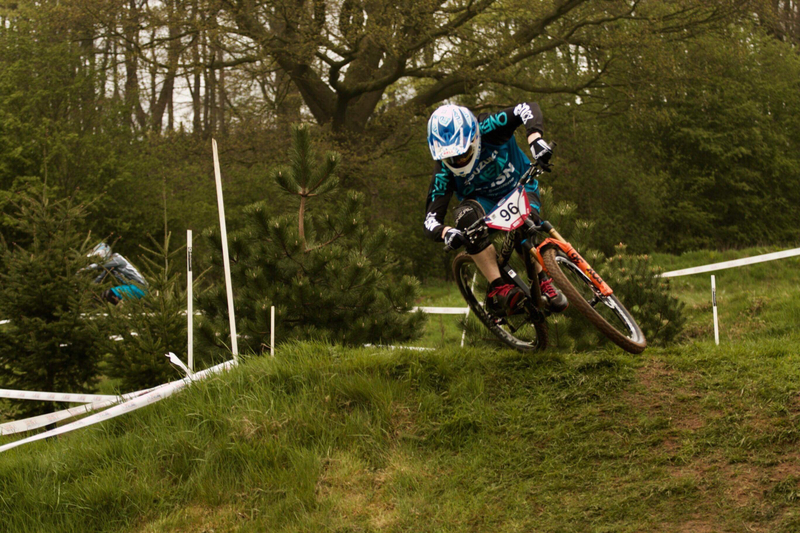 In the quarter final, Scott made his best gate of the weekend and battled for the lead into turn one. It all got a bit close and Scott was forced wide, slipping back to 3rd. He fought on the second straight and moved himself back into 2nd. Holding the position until the last turn, the rider behind made an amazing pass on Scott. Clean and smart, taking the spot away and unfortunately Scott’s race was over. “Well that was a tough day in the office. I felt good and didn’t make any mistakes in the quarter final. Sometimes the other rider simply makes a great pass and there was nothing I could do about it. I’m gutted with 13th, but I only have to wait a week to go again in Poland. I can’t wait”. 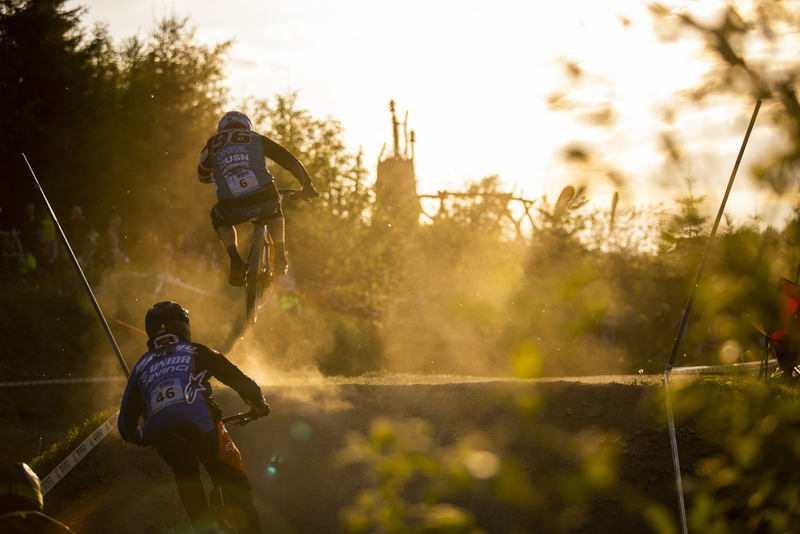 As Scott mentioned there, the teams next event is 4X ProTour round 2 in Szczawno Zdroj, Poland this Saturday. 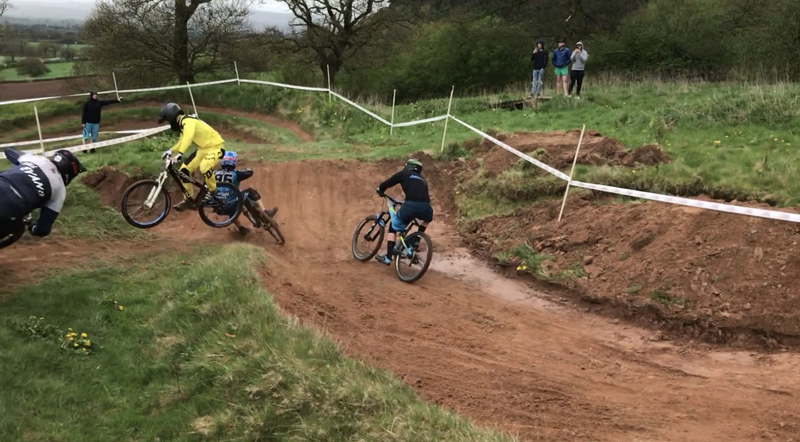 Round 2 of the 2018 Schwalbe British 4X Series was certainly an eventful race for Scott Beaumont. Here is our official film from the race by ‘Behind the tape productions’. 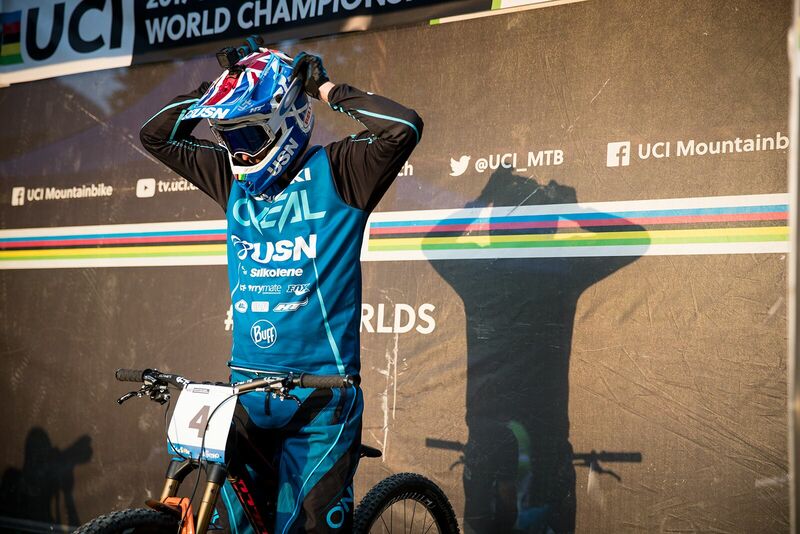 After a big crash in the final, Scott still retains the overall series points lead. 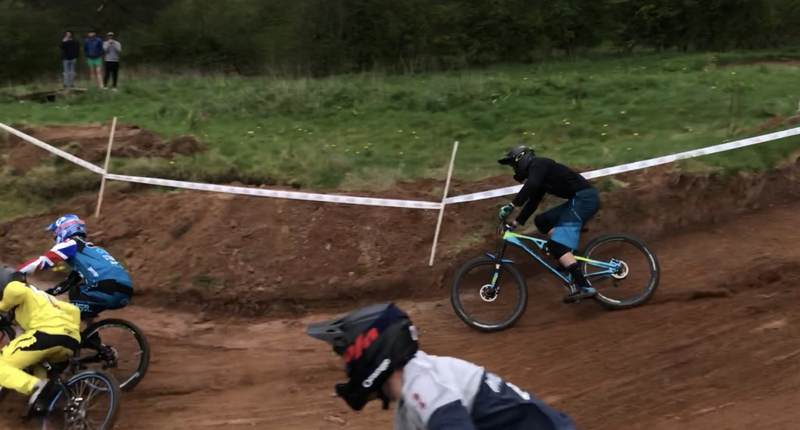 After an eventful start to the 2018 season at Chicksands for round 1, USN Racing entered round 2 in Harthill looking for a strong result ahead of the 4X ProTour starting in 3 weeks. 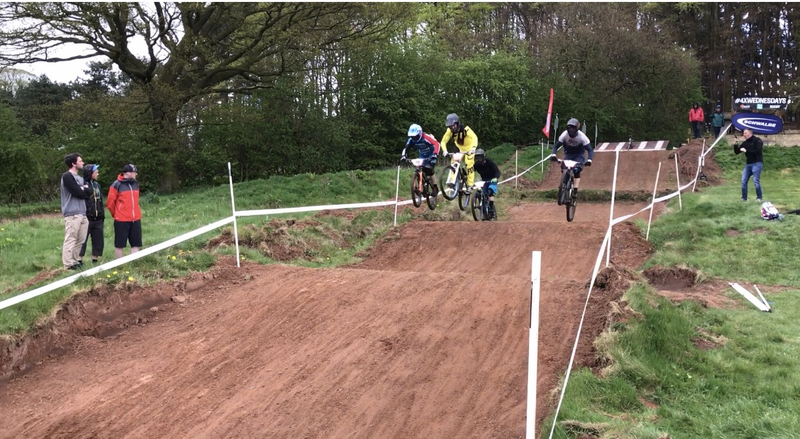 The track at Harthill in Cheshire has always treated Scott well and on this occasion the team were looking forward to a great days racing and some strong results. With practice beginning at 9.30, Scott was immediately up to speed and looking fast. Scott had already practiced on Saturday morning and felt confident on the track. In the motos Scott looked dominant in his first 2 races, winning from the outside gates and puling some decent leads. In his third moto, he made an uncharacteristic bad gate and found himself in 3rd through the first 2 corners. It was a good position though as Scott began searching around the track for different passing opportunities should he need them later in the day. Into the semi final Scott took gate 2. Making a perfect gate, Scott led the race from start to finish which would see him through to the final. 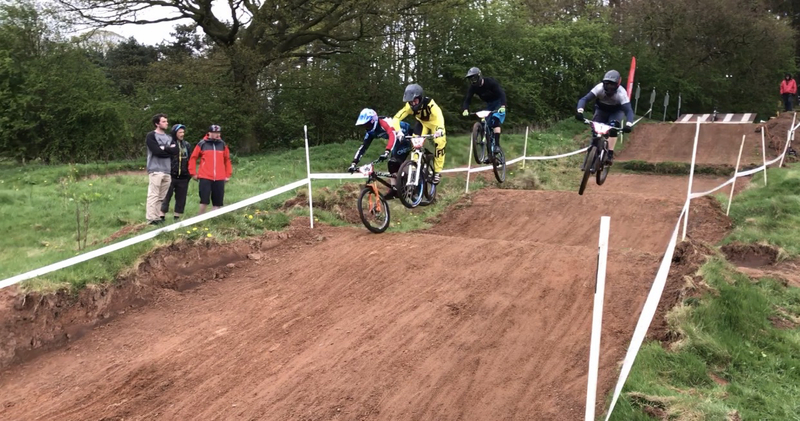 In the final, Scott took gate 1 with former GB Elite BMX rider Grant Hill in 3, Will Evans in 4 and Davi Roberts on gate 2. The gate dropped and Scott was level with Grant down the start hill. Scott pulled a small lead on the first straight but it was close and over the double into turn 1 the 2 riders collided. Staying up right Scott moved into the lead but through turn 1 Grant did not brake and on the exit the 2 riders collided. When Elite 4X riders collide all that horsepower normally explodes and on this occasion it really did. The 2 riders flew through the air and hit the ground hard. Grant seemed ok and continued to finish the race in third but Scott didn’t move for quite a while. The medical team were on the case quickly and thankfully after a few minutes Scott was slowly back on his feet and rolled on his bike down to the finish line to complete the race. 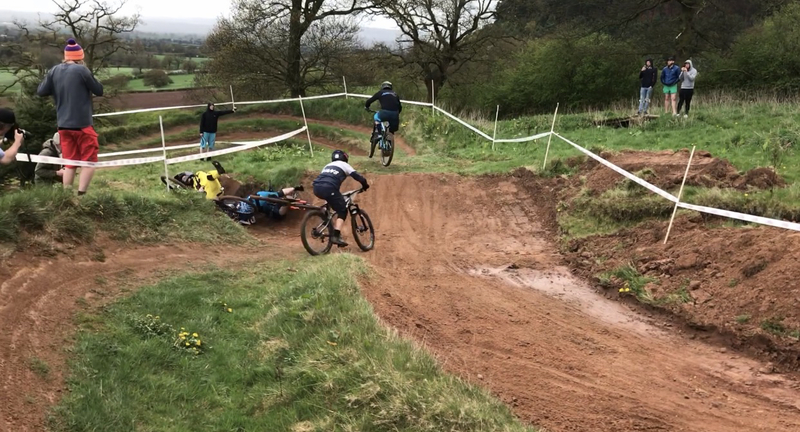 The crash was a pure racing incident as the 2 fastest riders on the day battled hard into turn 1. ‘Today has been good. I have felt fast on the track and although I did not win, I am excited about how good I felt on the bike. We now have 3 weeks to get ready for round 1 of the 2018 4X ProTour. The podiums were held immediately after the finals and Scott was happy to be walking and take 4th place. Some interviews with the media and then it was home and back to training for an intense block of work ahead of the ProTour starting. 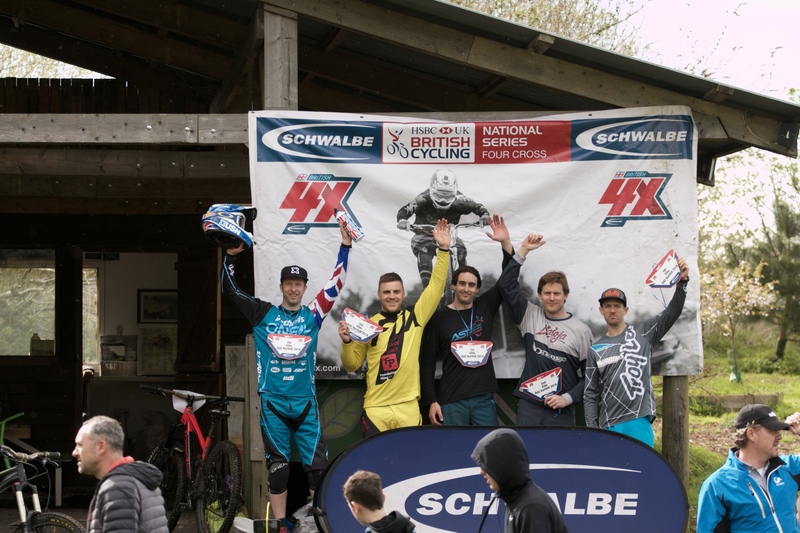 Round 2 of the 2018 Schwalbe British 4X Series was held at Harthill in Cheshire. Here Scott Beaumont takes us for a lap before the track was finally prepared and taped. 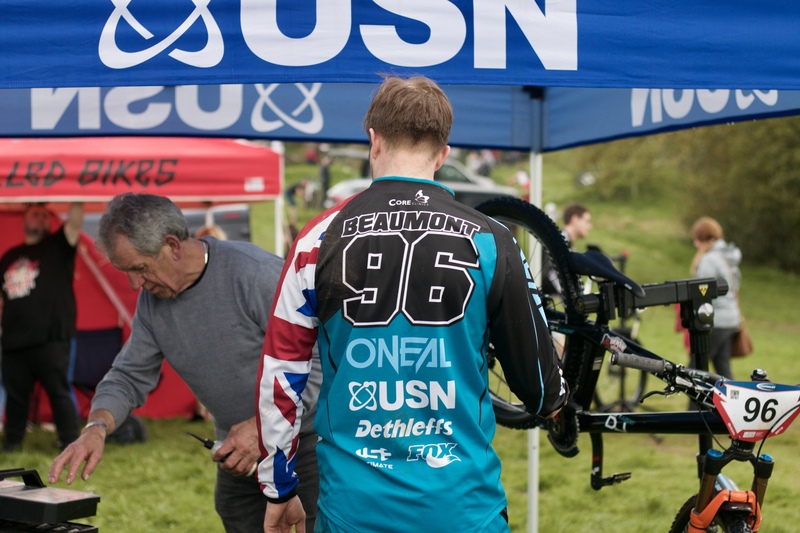 Last night, USN Racing team rider Scott Beaumont qualified 4th ahead of racing later this evening. Check out the helmet camera footage of his qualifying run. 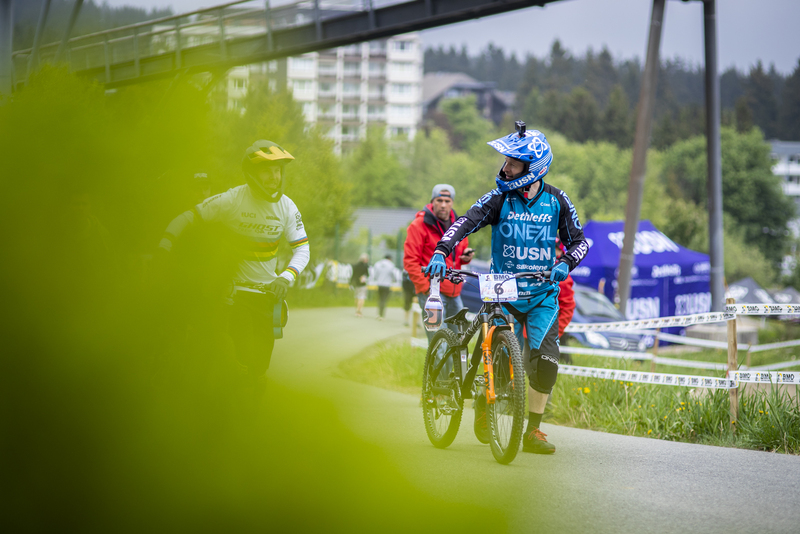 Here is our film diary from round 4 of the 2017 4X ProTour in Jablonec, Czech Republic. The toughest track we race all year. Scott was looking for a solid result to secure a top 4 overall in the rankings.